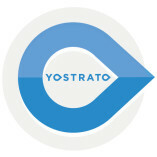 YostratO provides start-up and SMEs Web Design, SEO, Web Analytics, AdWords and Marketing attribution services. We work as an extension of your business to understand your unique challenges and develop an online strategy to support business growth and maximise your online marketing success. YostratO Ltd offers professional solutions. YostratO Ltd ... finds creative solutions. Dan did a fantastic job creating our ecommerce website. He conducted thorough training of using the WordPress site and ensured all elements were covered before launching the site. Dan was always available and very approachable when there were any queries and always went above and beyond to ensure that any issues were resolved. Dan has supported us at Oven Loving and we have hit our targets of being top of the google searches with in the 12 month target. We have enjoyed working with Dan, he has helped us to understand the world of SEO and the impact that a few tweaks and changes can have. Thank you again and highly recommended. Daniel just knows what he is doing! He made an appointment first off and we went through our two websites. I find him helpful without being pushy. He then came up with a plan of action tailored to our needs and budget. Let's face it, website support is a long term relationship as your image to the world needs maintenance over a long period of time. We trust Daniel to deliver. As a first time business with a need to create a web site, Dan from the very off showed me that he knew his way around designing and supporting a client when it came to providing a website. Dan's support in following up once the site was launched proved that I had made the right decision to go with YOSTRATO. I can with confidence recommend Dan's services to others either when looking like myself to have a website designed from scratch of upgrading the facilities required by a client when their needs had changed. Dan's costs were also value for money, especially when talking to others who had recently had their sites designed by an internet supplier or a friend whose services feel short of expectations, once their sites had been launched. Dan has been brilliant from start to finish in setting up our website. It took quite a long time for us to get to grips with it and he was extremely patient, forever guiding us through it, constantly making changes when we were indecisive and ultimately creating an amazing website for us. He is still always on hand for any changes or updates we need to make and can rely on his advice. Will definitely recommend to anyone. We have been really impressed with Dan, he popped into the office on the off chance we might need his services and we had been having some issues with the speed that our IT helper was working at, straight away we saw a difference with Dan, very efficient communicates well and was chasing us on things rather than the other way around. He has helped us on a variety of aspects of web design and other IT issues we had had and he has a very broad knowledge and a professional attitude along with being friendly and able to explain things in way way us novices can understand, highly recommended. Dan has provided a service that I have been looking for years for. Translating the mass of information about our website into plain English and helping provide solutions to what needs to be done to improve it. His management of the account is proactive and efficient and all provided at a very fair price. YostratO have been a fantastic support over the past couple of years, Dan is very quick to respond, tailors his services to our needs and gives us the professional advice we need at a very reasonable price. I can not fault the service at all. Yostrat0 did not try to sell me services that were not required and managed to explain aspects of my website to me in plain English which is very important to me. I love how knowledgeable you are on all technical things, i love how patient you are with me and that you gently push me to move forward with out trying to sell me anything. your really easy to talk to and very good and delivering what i ask for. YostratO work in an extremely professional and most importantly understand the brand and what we were looking for. YostratO have helped us develop digital marketing material and website improvements we are proud of and for that reason we would highly recommend their services! Overall a fantastic seamless and most helpful service provided by YostratO Ltd. Right from the start Dan provided me with outstanding service and ensured that every step was completed to perfection. He pays great attention to detail and ensures the finished product meets the needs of the customer. I am delighted that I chose Yostrat and simply cannot recommend it more highly. The care and consideration of each step of the process. Really happy with every aspect of my website. Dan's professionalism and honesty, are without match in his particular industry. Yostrato provided us an excellent service, at a super competitive price. Dan listened to my requirements and suggested the best options based on my budget. I am delighted with the end result.